Just what you needed to complete your 2012 season of collectors AR15 30 round magazines! July through Dec girls. 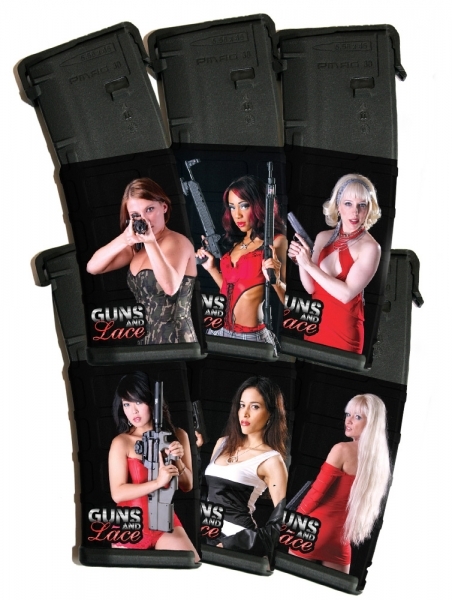 Each girl comes on her own AR15 Mag. Load 'em up and send each round down Zombie Lane with a kiss from one of the Guns and Lace Girls! Your Gun Safe will get all warm just knowing they're there!